With only two weeks to December, it is starting to feel like Christmas. It is an excited time for everyone and we are all getting a little bit Christmassy! For me, Christmas means home, family and friends. It means relaxing, good food and having fun and getting cosy. Defne and Derin can't wait to decorate the Chrismas tree. We have some decorations but I am hoping to add some more to our collection. 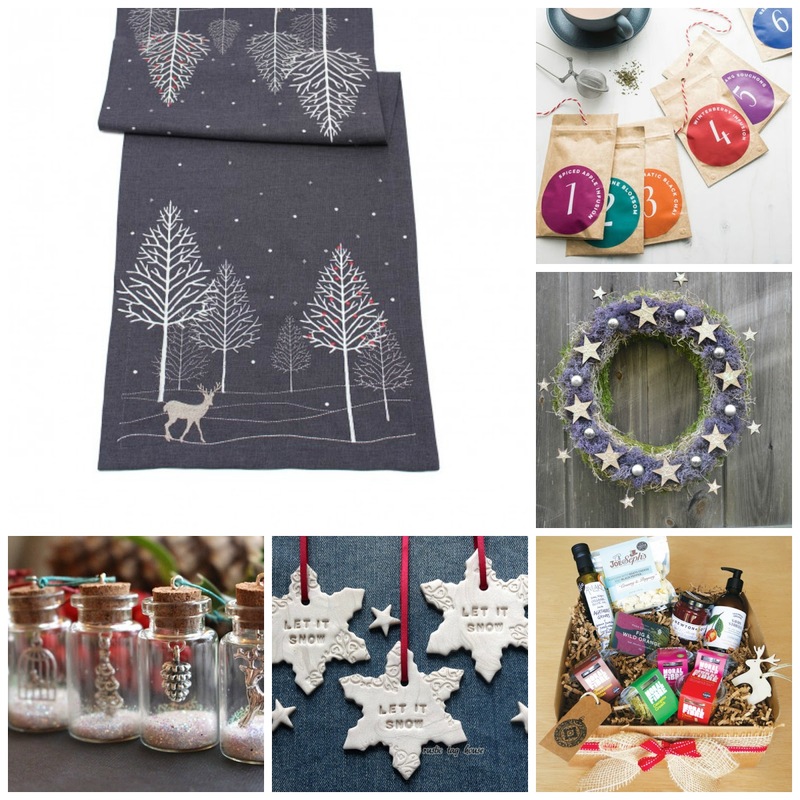 I have picked some of my favourite Christmas products and thought it would be fun to share them with you. The Winter Woods Table Runner is from Fishpools. I love Nordic products so just had to choose this one as it reflects everything about Christmas. Fishpools also stock lovely Christmas decorations,blankets and cushions. The Advent Calendar of Tea is perfect for a tea-lover for friend or for yourself! It is available at Not On The High Street. Lovely snowflake clay decorations from Etsy, they look so elegant! I adore the miniature bottles. They look so delicate! Available at Etsy. I rather prefer natural decorations to plastic ones so the beautiful natural wreat on Etsy caught my attention,too. Moral Fibre Food's Christmas Hamper is perfect for foodies for a bit of a guilt-free indulgence. I love lighting candles during this time of the year. Tiger Stores has lots of candles and tea lights as well as brilliant stocking fillers for children.